Ahead of the last meeting between Prime Minister Narendra Modi and US President Barack Obama in China, India and the US will hold their second strategic and commercial dialogue in New Delhi, which will hopefully bring to closure some key issues on the bilateral agenda and map the way ahead. 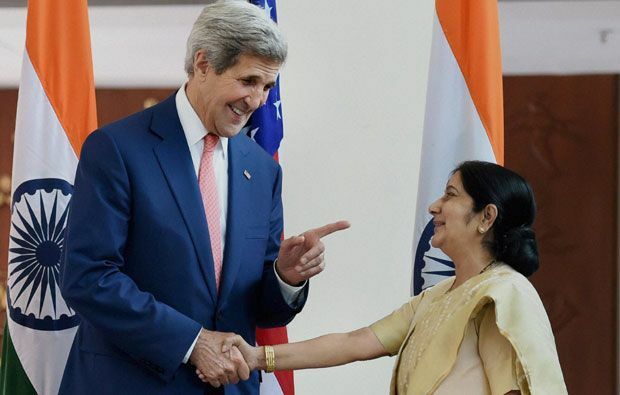 The Strategic Dialogue will be co-chaired by External Affairs Minister Sushma Swaraj and US Secretary of State John Kerry and the Commercial Dialogue will be co-chaired by India’s Commerce Minister Nirmala Sitharaman and US Commerce Secretary Penny Pritzker. The August 30 talks, which will be followed by the Modi-Obama meeting in on the sidelines of the G20 summit in Hangzhou, will cap more than a decade of blossoming of the India-US relations, which were transformed by the pathbreaking India-US nuclear deal in the summer of 2005. With the bilateral relationship on a firm footing, the focus will be logically on the unfinished agenda during the last few months of the Obama presidency. For India, getting full membership of the Nuclear Suppliers Group tops the agenda as only a strong push from the US can swing around fence-sitters and sceptics.